Sound Screen is a new film and music festival which will take place across various venues across London starting next week. The festival will present a series of music documentaries alongside artist and director Q&As and, in some cases, live performances. The opening night on March 21 will feature the premiere of Uncaged, the story of Brix Smith and The Extricated at the 100 Club. The band will play live on the evening with Smith set to be joined by fellow former The Fall members Paul and Stephen Hanley. The festival will then run at venues such as KOKO, Genesis and The Regent Street Cinema, with screenings of films on Sleaford Mods (Bunch Of Kunst), The Slits (Here To Be Heard: The Story Of The Slits), Lee Scratch Perry (Vision Of Paradise) and more. Ahead of the festival, we have a bunch of tickets to give away to some lucky winners. 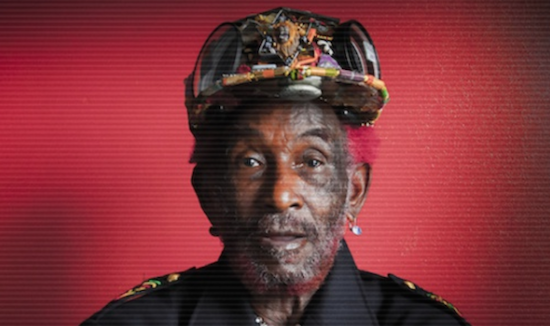 As part of the competition, we have one golden ticket to give away which grants entry to every event as part of the festival, and an additional five pairs of tickets to the Lee Scratch Perry gig and screening at KOKO on March 26. To be in with a chance of winning, just send the correct answer to the question below to comps@thequietus.com before entries close at midday on Friday (March 16). In which year was Vision Of Paradise, the Lee Scratch Perry film set to be screened at Sound Screen, initially released? If you want to get a ticket for this year's Sound Screen, or find more information on the festival, head here.